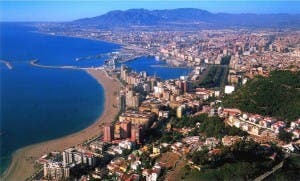 THREE British grandmothers have dodged death in Malaga after being shot at by a masked gunman. 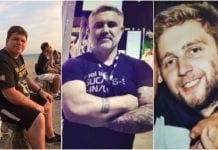 The trio – who had arrived in Spain just hours before for a week’s holiday – were ambushed outside their holiday home in the village of Alcaucin by two men wearing balaclavas. One woman – a grandmother of 14 – tried to grab his gun, but the gunman shot at her at close range. “The bullet was head height and hit a wall behind us. He was less than six feet away when he fired. We came very close to going home in a body bag,” said the woman, who is remaining anonymous pending an investigation. “When I turned round and saw a man with a balaclava I had this sickening realisation he wasn’t playing. “I began to shout for help, reached for the gun to push it away from us and swore at him. It must have been the adrenaline rush. It is believed that the man mistook the women, all in their 60s, for their friend who worked at a nearby bar in Malaga and who had walked home with the night’s profits. Just an hour later, a 56-year-old bar owner was shot and killed in nearby Colmenar. The father-of-two’s wallet had been stolen, and €100 was missing. Two Spanish men – Juan Montoya, 38, and Jose Mechine, 44 – are being held in custody for both the failed armed robbery and the murder of bar owner Tarek Nagib Botros. An investigating magistrate is expected to recommend a formal charge after a short trial. This story is very vague. Where exactly did all this occur, in a suburb of Málaga or somewhere else? Where is the bar that was robbed? Where is this place “Colmar”? Who are these grandmothers? Where are they from? One was a “grandmother of 14”? Could that be right? Please, Olive Press, don’t print stories that have not been properly researched!